LPL Financial Planner Steve Davis provides independent and objective investment, insurance and financial advice to families and businesses thought the local area. As an independent financial planner, he can offer you an unbiased assessment of your financial condition and help you plan now for your future needs. As a professional in the industry, Steve can advise you on how to make the proper decisions for both short term and long term goals while helping you protect your current assets. Feel free to contact his office for a complementary review of your investment portfolio. 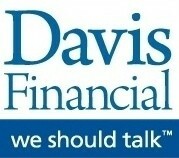 If you would like to explore working with Davis Financial, please call today. You can reach Steve directly at 508 337-9400. Steve is a CERTIFIED FINANCIAL PLANNER™ practitioner who provides independent and objective investment, insurance and financial guidance. He owns Davis Financial and has chosen LPL Financial as his broker/dealer, the largest independent brokerage firm in the country* because of its investment in technology, objective research and open architecture investment platforms. Outside of work, Steve sits on the board of several charities and often volunteers my time coaching youth sports, serving at his local church and fundraising for cancer research and treatment. Steve is an avid cyclist and also enjoys playing basketball and tennis. If you would like to explore working with Steve, please call Davis Financial today. You can reach Steve Davis directly at 508 337-9400.